Living in China can be stressful at times and we all need to relax more to handle the challenges life throws at us living abroad. Luckily, China provides many ways to de-stress and keep you on your A game. You do a lot of walking in China so pampering your feet should be a weekly or monthly ritual. Getting a foot massage in China is much more than just a simple foot massage. It’s more like spending a couple hours at a spa where you need to change your clothes and sometimes may even have a buffet meal included in the rate. Just remember before you get your first foot massage in China to learn the word for “gentler” in Chinese as sometimes they can get pretty intense! What is more Chinese than acupuncture? Not much. Although it will be most effective if you go more than once, even a single treatment of lying down and releasing inner qi blockages can help your body relax. If you’re feeling under the weather as well as stressed, you may opt for a cupping treatment if you’re brave. Sometimes the best way to relieve stress is to yell or sing your heart out. China and other parts of Asia provide a particularly conducive environment to do so with their private karaoke rooms. Invite some of your closest friends, who may also need to relieve some stress, and sing the night away. Moving your body in the morning is a great way to clear your mind and get your blood moving. 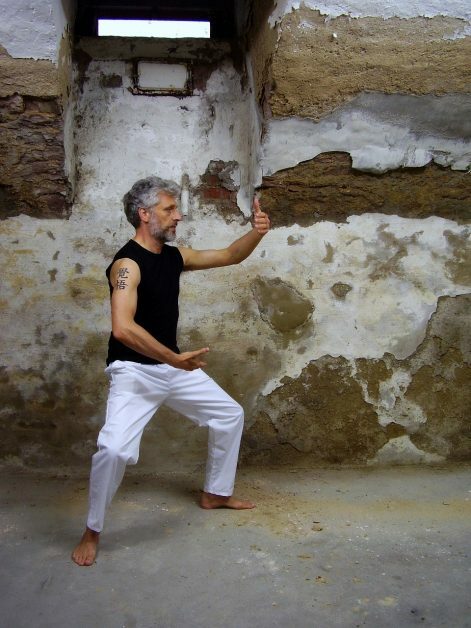 They say Tai Chi can also get your inner qi flowing properly, which is essential for a healthy mind and body. Take a class for a couple months to learn the basic moves and then practice on your own anywhere and anytime you feel the need to get your qi moving.